Curious...I searched around a bit, but could not find a list of the tallest vertical rock walls in the Adirondacks. Which is the tallest...Wallface? ...Poke-O? ...Something else? Does such a list exsist, and where can I find it? I'm not a climber, just curious of the answers. I'd bet this book would have that kind of info. I have seen that book in my searches and have read a few articles about it. I will look back into it, thanks. Wallface is listed in the above book at 700'. Poke-o-moonshine main face at 400'. I believe Wallface is the highest in the state. I think Wallface is the tallest. Avalanche pass maybe close. A quick phone call to the Mountaineer or Cloudsplitter Guides will get you an answer. Yeah, there are definitely a bunch of slides that are much higher than Wallface. The Chapel Pond slabs are actually higher too. I guess it all depends on how you define a "vertical rock wall." I'd imagine if you dropped the average person, who isn't a climber, halfway up Empress they would tell you its a vertical wall. I know climbers occasionally go in to climb Pharaoh. I would have to imagine that the height would be listed somewhere in a climbing guidebook. The answer has historically been Wallface. When I think of a cliff, I picture a near vertical rock wall that is extremely tall. Sure there might be some breaks in the rock here & there where there are ledges, but the entire 'cliff' face itself may continue almost straight up. Slides & steep open slabs are a little different in my opinion, as I don't really think of them as cliffs 'per se'. Have any of you folks ever climbed any of these, and would like share some stories and/or photos? ...And to all of you folks viewing, please feel free to add more "Cliff Photos" to this thread if you have any, I'd love to see more of them. If it is, please let me know & I'll remove my photos. Like I said, I'm not a climber, just curious, Thanks for any help. Last edited by Justin; 03-22-2013 at 04:47 PM.. Reason: Any more cliff photos? I'm terrified of high places but it doesn't mean I don't like looking at them (from below). I think it would be difficult to objectively measure and rank cliffs by height, because presumably you are talking about the distance from the bottom to the top, not just the elevation of the highest point. In many cases the highest point of the cliff and the lowest point of the base may not be at the same place on the mountain. I see a talus pile at the foot of the Barton High Cliffs in the last of Justin's photos -- would you include that in the measurement too? 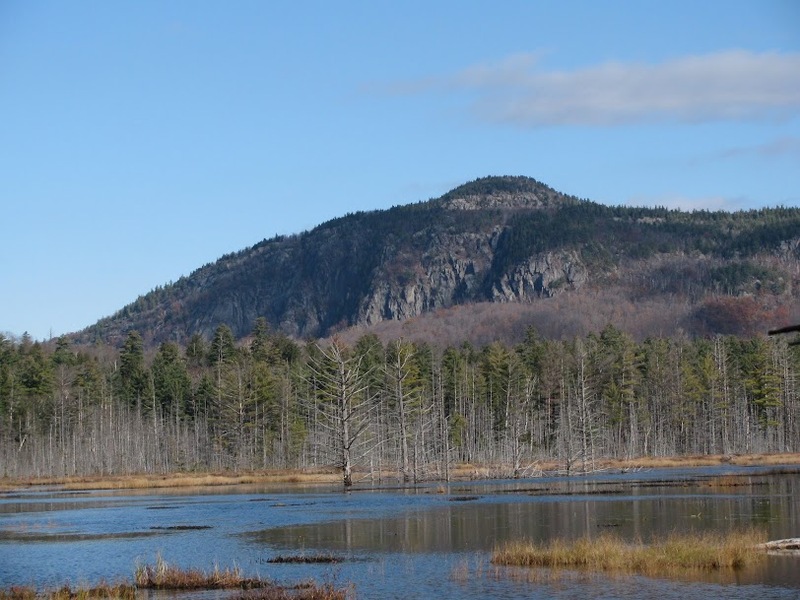 Often Adirondack cliffs are viewed from a pond or road near their bottom, which may be substantially lower in elevation than the base of the cliff. This adds to the impressiveness of the view but can sometimes be misleading when estimating the actual height of the cliff. Justin: There is documented climbing at most of the cliffs shown in your photos. Long Pond Cliffs: This is documented in Adirondack Rock. Centered in your first photo is the Loon Roof. Your second photo shows the Too Close for Comfort Buttress (on the left) and the Rodeo Buttress (on the right). These are shown on pages 521 and 523 respectively. Cat Mountain: This is the lower cliff on Cat Mountain, and has a couple routes documented on the New Routes page of AdirondackRock.com. The upper cliff on Cat Mountain is on page 592, and has one of the most pure, hard cracks around. Sherman Mountain: I'm not exactly sure which cliff is shown, but there are many cliffs on Sherman Mountain, including Lost Hunter's Cliff (page 555), McMartin Cliff (New Routes), and Lost T2 (also on New Routes). Eagle Bluff: No climbing reported here yet. Rather difficult to get to! "new Eagle Bluff": This photo is West Canada Cliff (documented on New Routes). The wall shown in your photo is called the Black Wall, and has two rock climbing routes (Cowboy Up and Sausage Science), and an ice climb (Beast of the Northern Wild, WI5+). It's quite an expedition to get there. Treadway Mtn: Looks cool. No reported climbing there, although somebody did some climbing exploration on nearby Devils Washdish in the late 1970s. 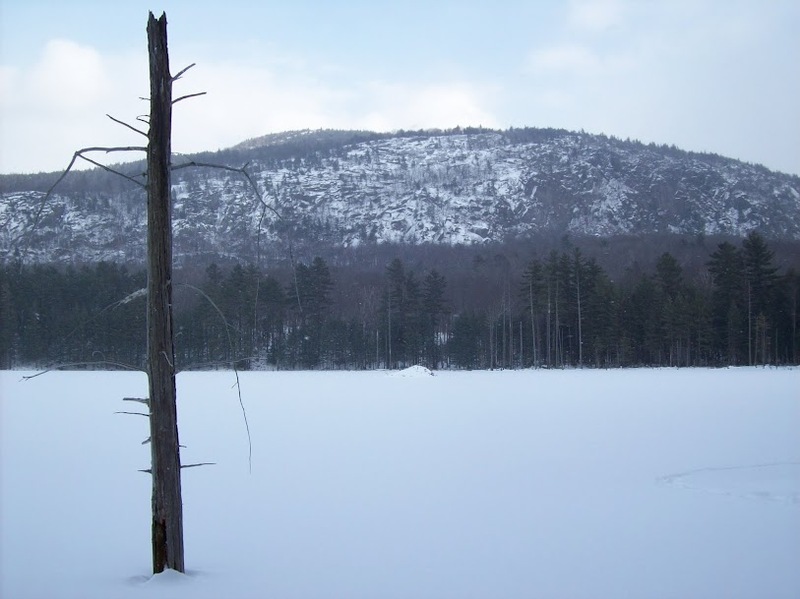 Barton High Cliff: Well documented in Adirondack Rock (page 469). The ice in your first photo is From My Cold Dead Hands (not especially well formed in your photo). If you're looking for more photos like this, try here. ...or here check out the photo album called "Adirondack Cliffs" located here. 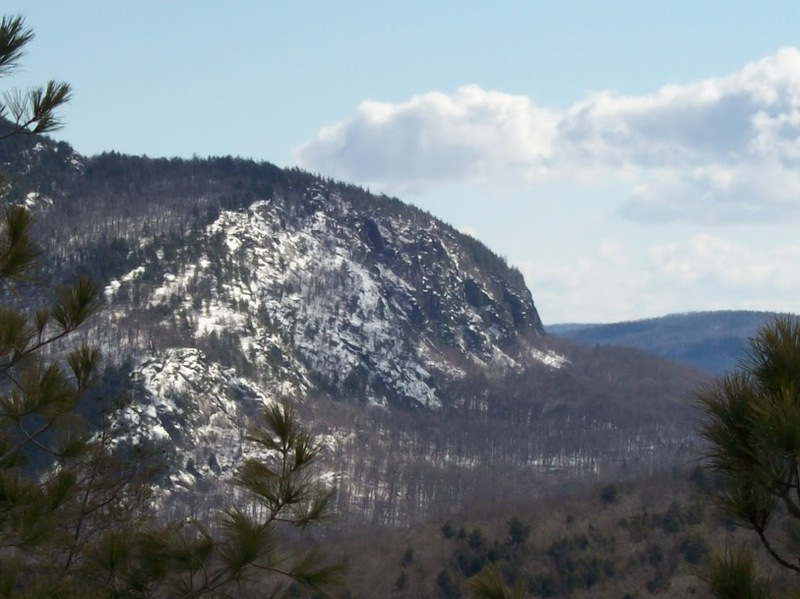 Bill I: The book Adirondack Rock includes the height of each cliff -- a measure of the highest vertical expanse of rock. How do we know? It's an educated guess based on climbing there. When rappelling, climbers know their rope length and can make a pretty good estimate of overall height. This puts Wallface around 700' tall. Some of the rock climbing routes on Wallface are much longer; that's because rock climbing routes wander and traverse around, making the overall climbing length longer than the cliff height. For this reason (and because of exaggeration for dramatic effect), in historic accounts of climbing in the Adirondacks, there is talk of, say, 1500'-tall cliffs. If one defines a cliff as being "mostly vertical", then Wallface is the tallest in the park. If defined as "requiring a rope to get up", then Gothics or Mt. Colden is the tallest. If a cliff is defined as open, unbroken expanses of non-flat rock, then it's most likely one of the slides. Justin: I forgot to mention...you asked whether cliffs were to climbers like fishing spots are to fishermen. In general, cliffs in the Adirondacks (at least those with open, public access) are not coveted like that. In fact, the majority of climbers share their discoveries for others to enjoy. There are a few folks that would like to keep things undocumented and private, but in my experience, I can count them on one hand.